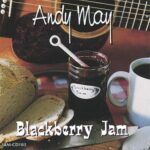 A champion guitarist and seasoned performer, singer/songwriter Andy May has eight CDs of mostly original music on Swift River Music and has written for many Nashville recording projects. His most recent release, a collaboration with banjo legend, Curtis McPeake, came out in March of 2018. Andy’s 2016 release, Room for Roots, and his original song, The Woman in the Wings, landed on Roots Music Report‘s “Top Americana Country” Album Chart and Song Chart, respectively, in both 2016 and 2017. 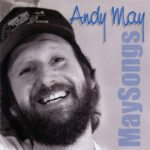 An earlier song of Andy’s, The Sweetest Story Ever Told (MaySongs), was on the Juno Award-nominated MCA album, Can’t Sit Down (Eric Nagler), and on the Gemini Award-nominated CBC TV series Eric’s World. Andy has also written music for Channel 5 Boston and the UNITED WAY. Andy has been an annual performer and educator at MerleFest and the Walnut Valley Festival and a regular workshop presenter at the Country Music Hall of Fame and Museum for many years. He also started, runs, and produces for Swift River Music, earning an IBMA award in 2008 for Recorded Event of the Year (Everett Lilly and Everybody and Their Brother).